Firm Foundation Chiropractic is looking for a health care professional to rent space in its West Des Moines location (Pictures below). Located in the heart of the greater Des Moines metro area just off the 73rd Street exit on interstate 235, this location offers quick travel time from just about anywhere in the greater metro area. The Valley Square office building is next door to the Walnut creek YMCA and across from the very busy Wal-Mart and Sam’s Club retail shopping center. The clinic offers a warm and caring family atmosphere that exemplifies a desire to improve overall patient health while maintaining a professional feel which is furthered by the courteous and knowledgeable staff. Currently, Dr. Michael Davis practices chiropractic in one suite, has a therapeutic massage therapist (Laura Ward) occupying one of the treatment rooms, and rents space to Dr. Rebecca Lake of Shine Chiropractic. 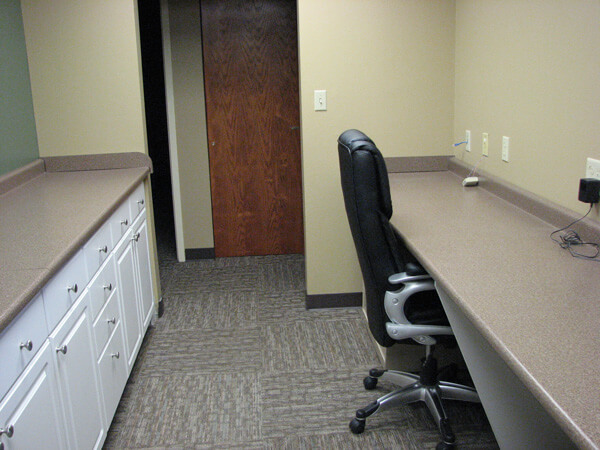 Currently, there is one professional treatment room available which comes with front desk office space. 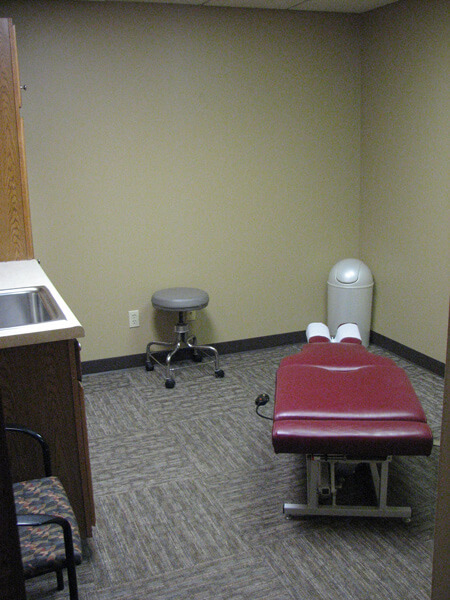 The patient treatment room has both a sink and counter top space, as well as built in cabinetry above, below and to the right hand side of the sink. Each of the cabinets has adjustable shelves for storage. 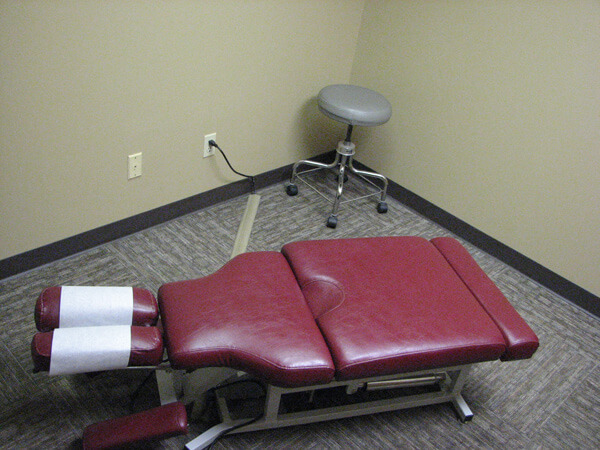 If desired, there is an electric Hi-low exam table in the treatment room, and an exam stool. 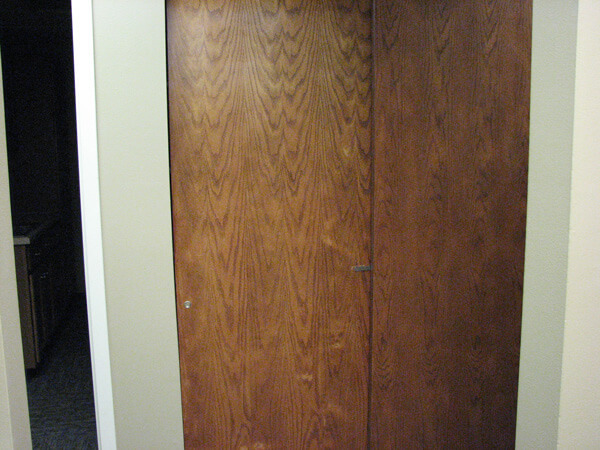 The room dimensions are 10′ X 10′. 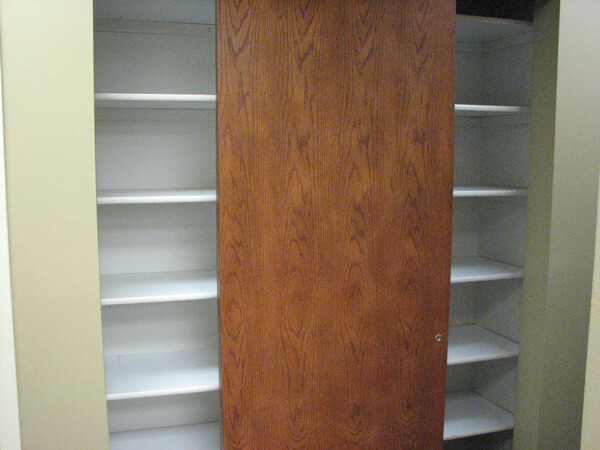 Between the patient treatment room and office room is a two sliding door storage closet for medical files or product storage. There is also a lock on the closet. 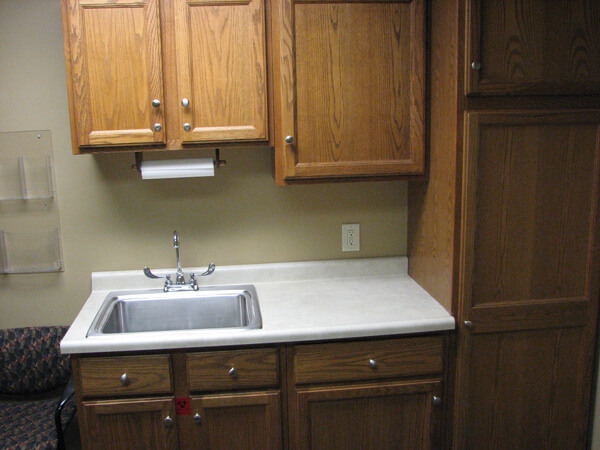 The rental space also includes access to the front patient waiting room, employee and patient restrooms, and a breakroom with simple kitchenette including a refrigerator/freezer, microwave, small oven, and sink. 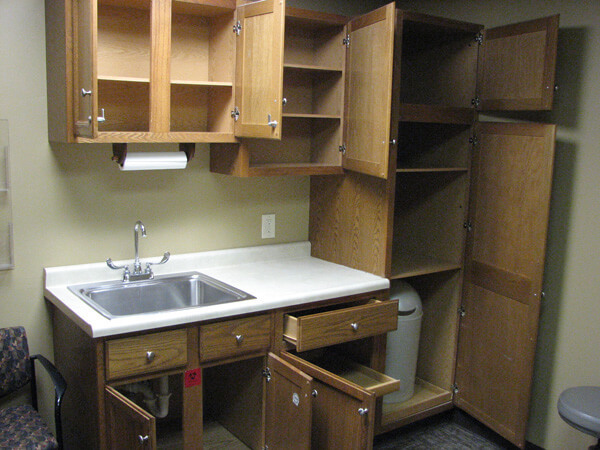 There are ample cabinets and drawers for storage in the breakroom. 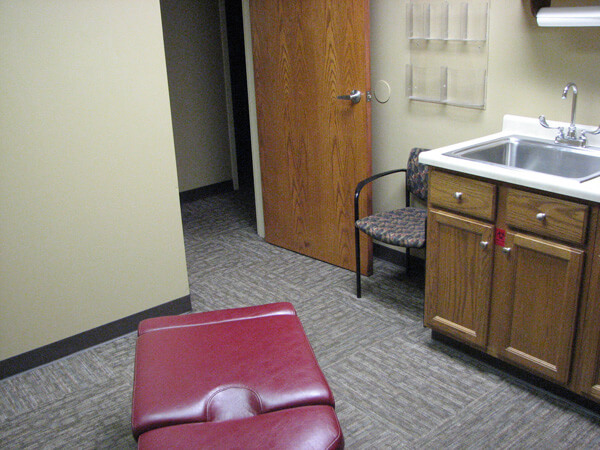 The breakroom has a large sofa and wooden table with chairs for meetings, and patient consultations. There is a flat screen TV mounted on the wall for presentations or breaks. 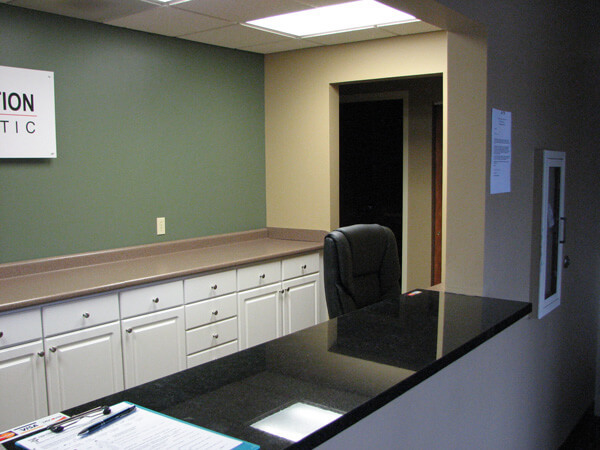 The main front clinic desk provides a space for computer, printer, phone/fax, and internet. Again there is plenty of storage space in cabinets as well as display counter top space visible to patients as they check in/out. If you have any questions or want to set up an appointment to tour the clinic and see the spaces for rent, please call 515-440-2005 to schedule a time. The space is ideal for a health care professional interested in being part of a growing clinic dedicated to patient wellness. Alternative medical practitioners like acupuncturists, estheticians, naturopaths, nutritionists, weight loss specialists would do very well in a location such as this. Sorry, but there are already chiropractor and a massage therapist on site with noncompeting clauses.